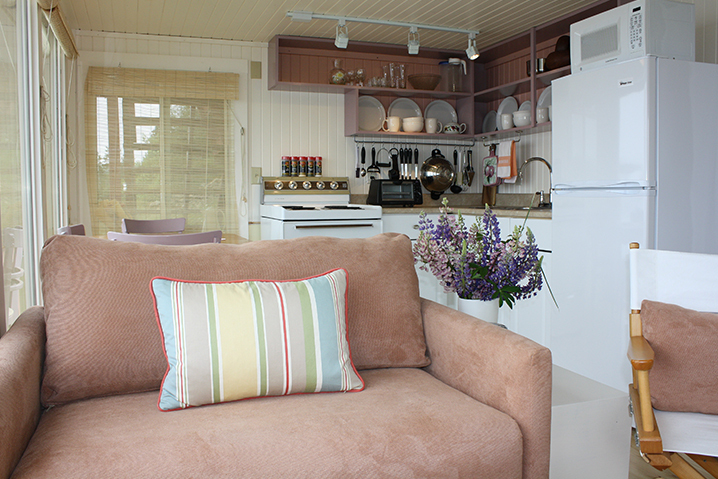 SeaSide Cottage Suite is the newest addition to our portfolio of unique holiday getaways. Offering cozy and efficient refuge from the pressures and monotony of the work-a-day world, SeaSide is the little sister to its larger twin, SeaGlass, (located on the upper level). It consists of bedroom with a queen bed, a full bath with shower, and an open living space, which includes a dinette, kitchenette, and living space. 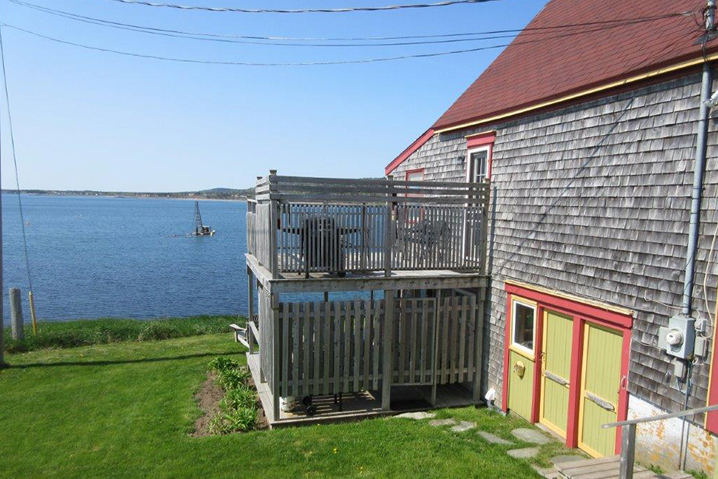 SeaSide also has a large, fully furnished covered deck that is private, and lots of sunny seating just outside the door, either on the sun deck or the grounds. It is conveniently located on the ground level, with expansive ocean vistas; and It enjoys the same benefits of location that SeaGlass does. The cozy little ocean side refuge, that we call, SeaSide. Your little hideaway consists of a main living area that combines a kitchenette, dining area, and “living room”, in one open area. Clad with Victorian cottage board wainscoting on all walls and the ceilings too, SeaSide reflects the charm of a simpler time. 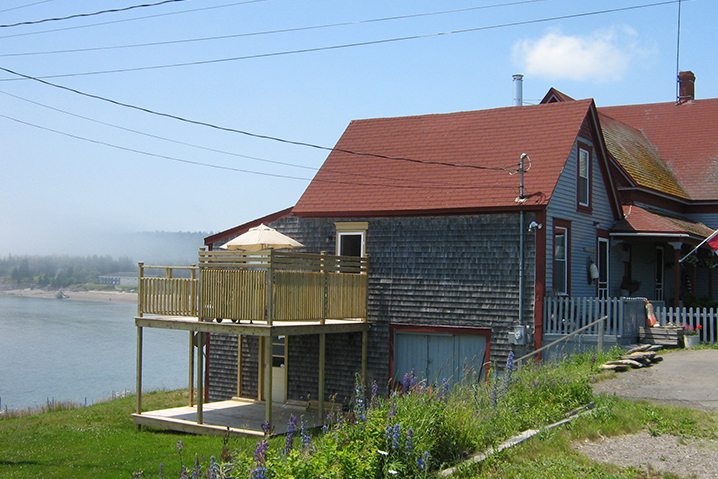 Massive windows afford a ring-side seat to the activity of the bustling Fisherman’s Wharf and the Ferry Wharf, morning, noon, and night… and to the dramatic ever-changing skies above Flagg Cove and over the open waters of the Bay of Fundy. The wainscoted bedroom has a queen-sized bed and reading lights. The bathroom has a shower, and we provide a blow-dryer, iron and ironing board. The playful pastel colors of the decor are drawn from the brilliant Grand Manan sunsets and sunrises as they paint the skies. …right outside your door! A spacious covered deck provide outdoor island living at it’s very best; with casual seating, a dining table and a grill… or, soak up the sun on the sun deck. Enjoy refreshments as the summer afternoon sun glitters on the bay like diamonds, and watch dusk close in while dining on deck. Retire by the shimmering moonlight as it dances on the tiny ripples in the water, lapping the shore of Stanley Beach. Artists among you may choose to utilize the deck as an outdoor studio. 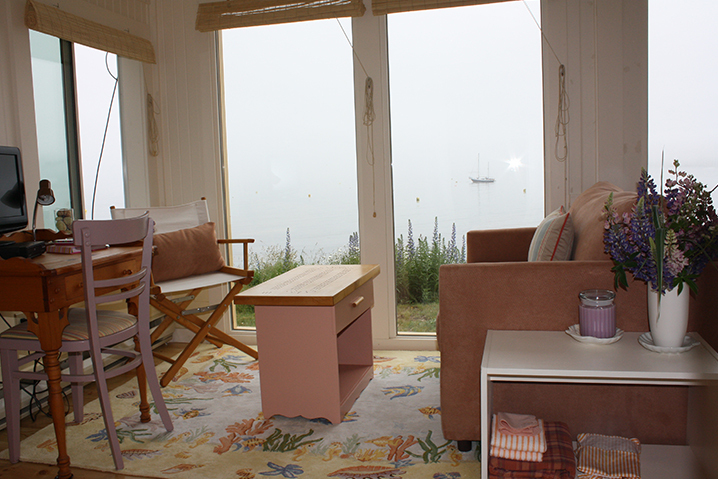 SeaSide is an ideal holiday home for any two-some, but there is a single convertible bed as well. The fully equipped kitchen includes a cottage sized refrigerator and stove, as well a toaster oven, microwave, blender, dishes, cutlery, pots and pans, mixing bowls, and everything else you will need to enjoy a care-free island adventure. Just bring your clothes and enjoy! Linens are furnished for bed, bath and kitchen, and are changed mid-week per your request. Spa-robes and slippers are furnished, as well as beach towels. In addition, there is a laundry room on site for your convenience, at no additional charge. 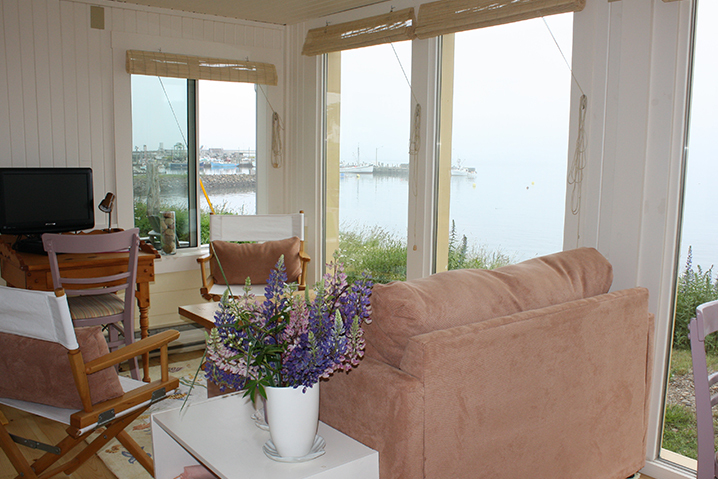 SeaSide Cottage Suite is a cozy, fully furnished, authentically renovated oceanfront hideaway. It consists of a Master Bedroom, full shower Bath, living area with kitchenette and dinette, and ample Parking.